Being a visual person, what attracted me first to this book was the colorful cover. The second thing was this first line of the books description. "So many of us struggle with finding our own voice and with knowing which skills and artistic direction to focus on in order to create a look that doesn't mirror everyone else's, but a look that we can feel good about as being uniquely our own." 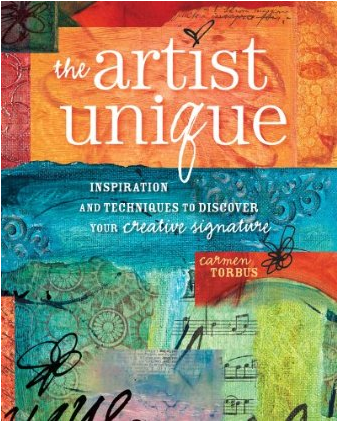 This book should get your creative juices going, no matter what kind of an artist you are! will make your creative endeavors unique. and Spill It onto canvas. discover and project personal creative style. As I was developing the workshop, I kept getting a nagging feeling that there was more to it than what I was offering. I began to feel that this workshop was really something bigger and it soon evolved into my new book, The Artist Unique, Inspiration and Techniques to Discover Your Creative Signature. The book is really all about encouraging you to make your mark your way. I believe we all have a style of our own. 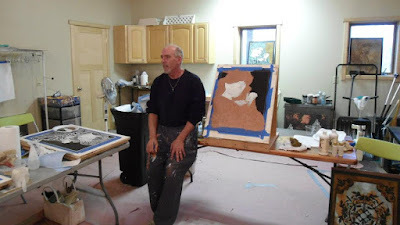 In my workshop, I encouraged my students to take all of the little things that make them unique and use them in their artwork. In the book, I share a inspiration and techniques from 15 of my favorite artists - who have whose signatures styles speak volumes about who they are. They share their struggles and their stories and how they developed their unique styles. When art was new to me, I often followed projects in magazines and books. I always ended up with really great artwork that looked just like the artwork in the project, but it never felt like it was mine. When I decided to write a book, I knew it had to be filled with tools and ideas to inspire and encourage readers to try new things, explore techniques and find ways to make them their own. Embrace who you are and find out what defines you as an artist. Make art that is exclusively you. Author bio: Carmen Torbus is a self-taught mixed media artist and workshop leader from Port St. Lucie, FL. 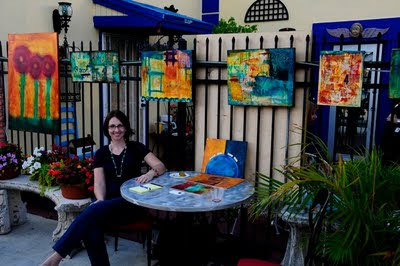 She refers to herself as a bliss follower, big dreamer and lover of the words, “I’m so inspired right now!” Her workshops focus on combining mixed-media techniques with enthusiams, mpassion and participant perspective. 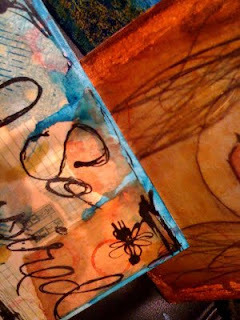 Her blog and artwork can be seen in the winter 2010 issue of Stamptinton’s Artful Blogging and the May/June issue of Somerset Studios. You can connect with Carmen on her website: www.carmentorbus.com Purchase signed books here. Copies of her book can also be purchased on Amazon.